As a major novelty this year, Resmat is incorporating rain water collection tanks. These tanks come fully pre-fitted with all the accessories required for operation. We have different types of filters to match specific requirements in each case. Check with us which one best suits your needs. As in other years, Resmat was represented at the international edition of the Construmat 2007 exhibition. The event provided plenty of evidence of the great stress the trade is laying on environmental issues. Three new product ranges were unveiled at the event, all of which were very well received. These are the rainwater collection units, the grey water recovery units and the MBR treatment. Resmat is dedicated to the manufacture and national and international distribution of all types of treatment plants for waste water, grease separators, hydrocarbon separators, cisterns for drinking water, rainwater tanks and a range of custom-built units in GRP. Treatment plants range from simple septic tanks to biological filter pit units, total oxidation and MBR membrane bioreactors. We also manufacture grease separators, hydrocarbon separators with the option of incorporating sensors for process automation or monitoring. The most novel additions to our product range in recent years are undoubtedly the rainwater tanks, which include filters and elements for ensuring the quality of the rainwater stored. 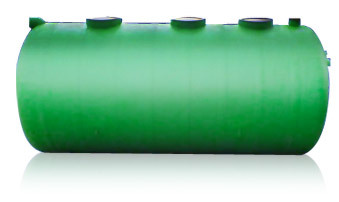 The drinking water cisterns are built in a wide variety of sizes and dimensions to suite the user's measurements. The dimensions of all our units (septic tanks, biological filter pit compact units, total oxidation MBRs, grease separators, hydrocarbon separators, cisterns for drinking water, rainwater tanks, etc.) can all be changed from the standard measurements in the catalogue, provided this does not affect their operation. Of all our treatment plants, the TOTAL OXIDATION unit is the domestic waste water treatment system with the best performance. 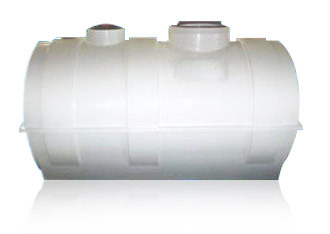 The biological filter pit septic tank (decanter/digester) system is suitable for domestic-type waste-water. The system complies with Spanish regulations on discharges. Resmat offers a wide variety of treatment units for treating waste water, for populations of anywhere between 5 and 1,500 inhabitants. Our treatment plants use the most advanced technology on the market to aid installation and to comply with current legislation.